If you know anything about how much the average musician struggles financially, it’s even more admirable that the members of Foxing aren’t adamant about clinging to every penny they make as artists. Foxing’s most recent record, Nearer My God, was paired with Nearer My Pod, a podcast series in which Noisey writer Dan Ozzi delved into the curating of the album with band members Conor Murphy and Eric Hudson. In the series’ fourth episode, the trio discussed the contrast between modern day perils and those from years prior, namely as a result of Trump’s presidency and the turmoil that ensued following his inauguration. Murphy explained he felt it would have been insensitive to release a record centering on troubles like romance and unrequited love, considering that many individuals are currently facing much larger plights. Shortly following the release of Nearer My God, Foxing toured the United States and donated a portion of their proceeds to charitable causes. 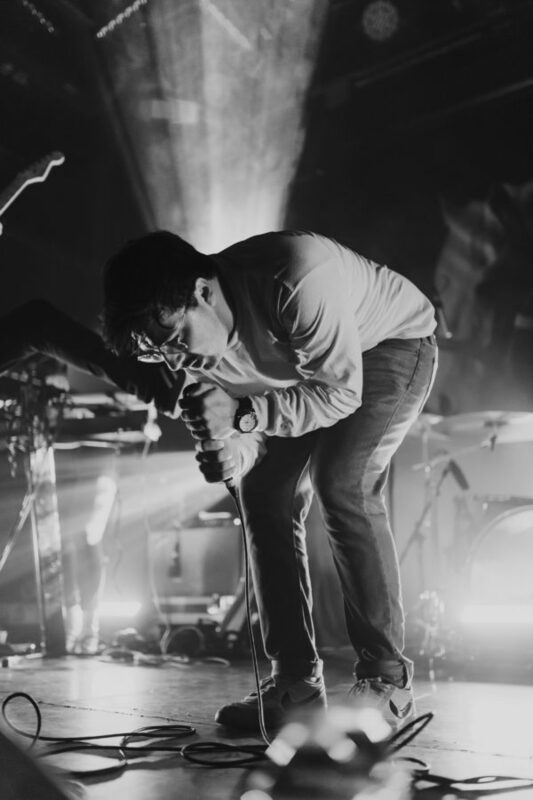 “Bring some extra bucks to help out @NewSanctuaryNYC tonight,” Foxing tweeted preceding their show in New York City. New Sanctuary works with struggling immigrants, such as those faced with the possibility of deportation. Toronto show last night was the best Canadian show we’ve ever had the pleasure of playing. Also we want to thank y’all for donating to @RainbowRailroad . Sending them a big chunk of change due to the selflessness of Canadian music fans. Love you forever, Canada. After their show in Toronto, Foxing tweeted, “We want to thank y’all for donating to @RainbowRailroad.” Rainbow Railroad helps LGBTQIA+ individuals in unsafe living situations find alternate places to reside. “Tonight’s charity is Women’s Health Justice,” tweeted @HitLikeAGirlNJ, who toured with Foxing as the keyboardist for opening band Kississippi. This organization seeks to prevent the erosion of reproductive rights. It’s crucial to note that Foxing chose charities that are pertinent to the current political climate. New Sanctuary was a perfect fit, considering immigrants were kept in detention centers earlier this year. Donating to Rainbow Railroad makes much sense in the wake of Trump’s attempt to ban transgender individuals from serving in the military. And as people are terrified that the appointment of new supreme court justices could lead to the overturning of Roe v. Wade, women’s reproductive health deserves attention. As I write this, I’m becoming more and more disappointed in myself. Sure, I voted in the 2016 election. And I plan to vote this November. But couldn’t I do better? Couldn’t I be donating to charities, too? We could all strive to be more like Foxing.